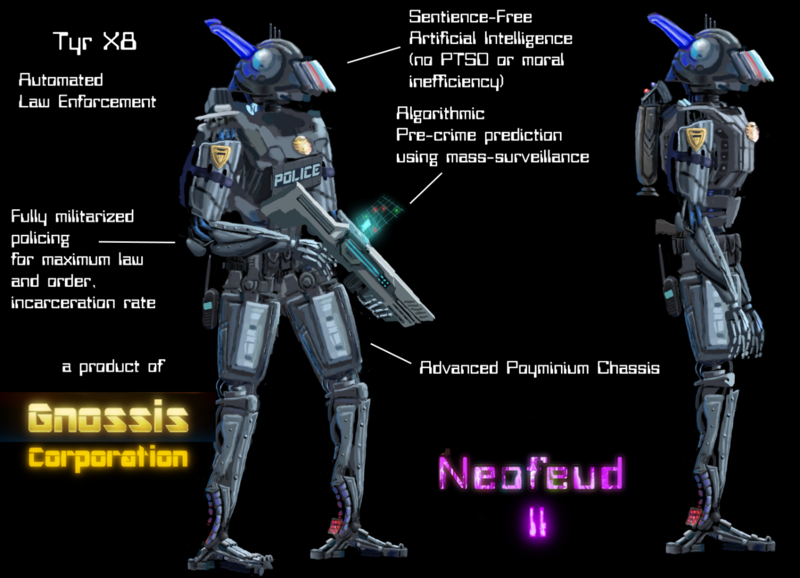 Latest work on my cyberpunk adventure Neofeud 2! Finished adding in new portraits, holograms, and automated dynamic lighting in Adventure Game Studio. Thanks Trying to get back into the groove of the Monty Python / Douglas Adams-satirizes-cyberpunk sort of writing of Neofeud 1. 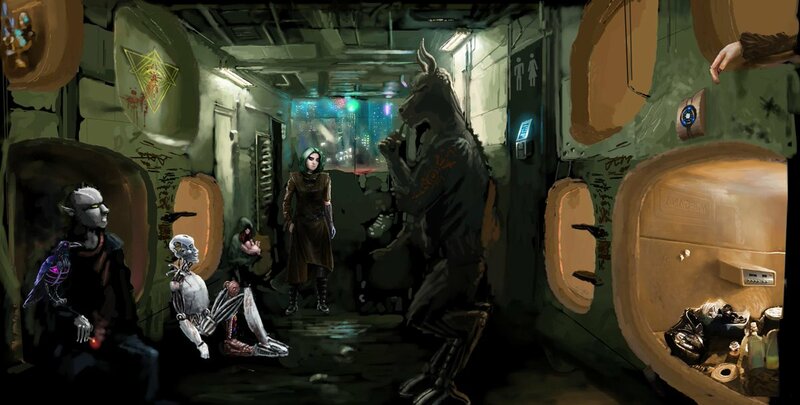 Latest scene I'm working on for my cyberpunk adventure Neofeud 2! Dystopian Cyberpunk Coffin apartments... I mean, "Minimalist Residential Inhabitations! Cool, trendy, chic microhomes for the modern urban citizen!" 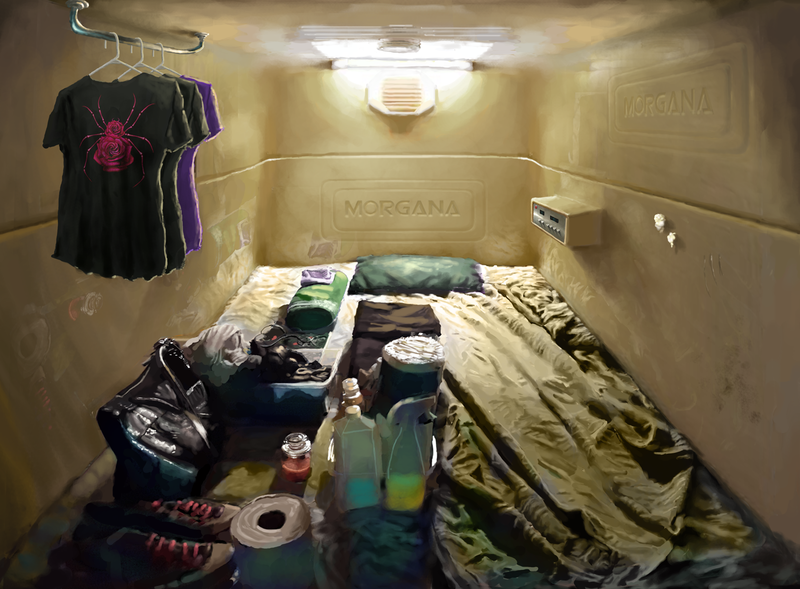 In the latest stream I worked on connecting this external area to the actual coffin apartment from the previous post. Cool, trendy, chic microhomes for the modern urban citizen! Unfortunately yes! My family and I have lived in spaces of about that size, in both vehicles and 'housing units'. Yeah. Makes me very glad I live somewhere with at least a decent basic social security system and some rent caps/controls. What's the minotaur-like creature in the housing units? I don't really recall seeing many things like that in this setting before. Neofeud did have some transgenic human-animal hybrid type creatures if you recall. Although Neofeud 2 will be taking place on a planet other than Earth, to give you an idea of what's going on without spoiling things May be alien species involved! New gameplay footage from Neofeud 2 featuring some of the stealth gameplay, flying cars, flying car hacking, autonomous drones, AI-cops and more! Working on some new animations for some new Neofeud 2 characters. Haven't tried doing one of these 'walking with gun down' style anims before so it was a bit more time consuming but a good learning experience. Tyr X8 Looks really nice! Like a souped up (and cooler) Chappie. Thanks for the feedback! Yeah I am a big fan of Chappie and all the Neil Blomkamp material. Big inspiration behind the first Neofeud. Also, Neofeud is now on sale! If you're into anticapitalist, antifascist cyberpunk adventures, can't wait for Beyond a Steel Sky, and want to help me pay bills in cyberpunk dystopian America, Neofeud is on sale on Steam + DRM free on Itch! Yes, you will have guessed right! I try to make everything have a deeper meaning or significance in the games and writing... which is why it can take quite some time! Here's the latest work on Neofeud, illustrating liquid crystal hallucination in a cyberpunk dystopia of cells, interlinked. Also just a reminder that Neofeud is still on sale! Get one for that special adventure game and cyberpunk-loving someone. Also recently Neofeud got mentioned in a "Choose your top 10 games of all time" thing everyone was doing, which is pretty neat. It’s difficult to play for all the right reasons and makes players question and reevaluate their places of power and privilege"
If you have a moment to give Neofeud even a short review on Steam I would greatly appreciate it! 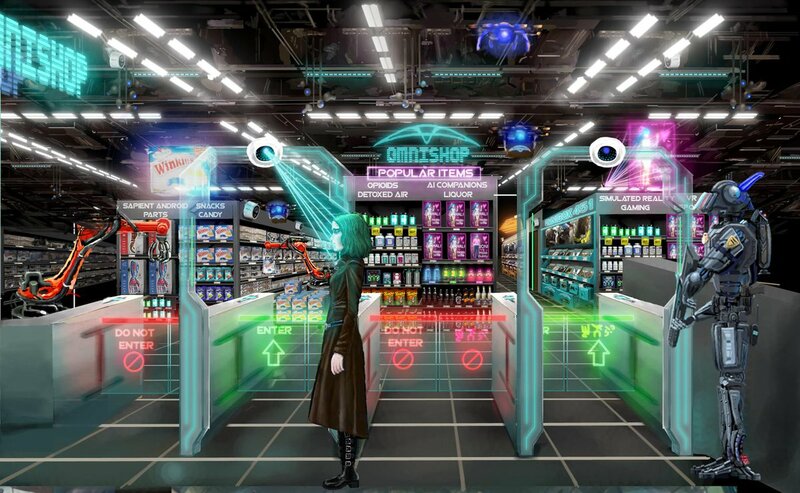 The brave new hyper-automated cyberpunk dystopia of Neofeud 2 is better than 2019 because at least it's more stylish! Some of my latest work on Neofeud 2. I'm experimenting with different transparent material types as well as new gameplay elements like facial rec and other biometric surveillance. 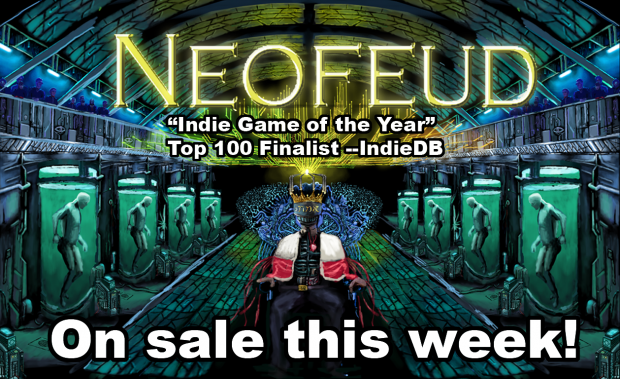 Neofeud 1 is also on sale for a couple more days! What's the secondary language/code/alphabet on the gates that isn't English? Jubal: good eye! That language doesn't technically exist. It's supposed to resemble some Asian characters and ideograms but I intentionally constructed a fictional alien writing system for Neofeud 2.